Overcrete Cement Activator is an Acrylic Polymer which is ideal for priming concrete in readiness for the application of Overcrete Resurfacing Compound and is a very important ingredient in our Overcrete Resurfacing System. Also can be used as an additive for mortar, render and concrete to increase strength and adhesion. 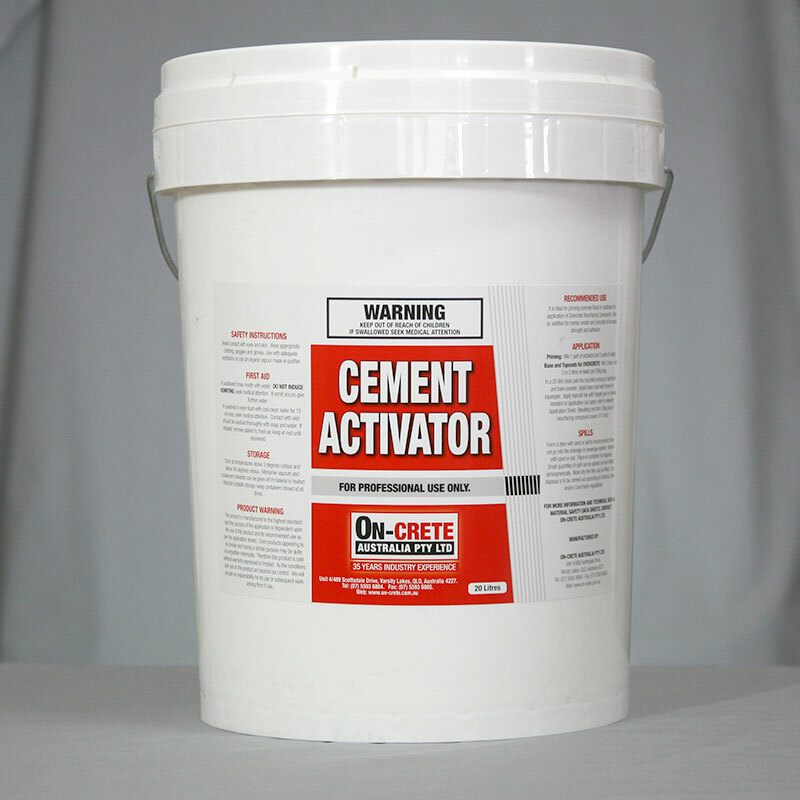 When to use Cement Activator? Cement Activator is used initially as a primer for the Overcrete Resurfacing System to help increase the curing strength by reducing the amount of water lost through the concrete substrate. The Cement Activator is then used as the main ingredient in the Overcrete Resurfacing System with up to 3 litres being added to each bag of Overcrete Resurfacing Compound to act as a binder.